A guide to this year’s IDEX in Orlando, Florida, with information on artists and retailers involved in the event. Check out all the information HERE. Read an interview with the the owner of the popular Denver Doll Emporium. The brick and mortar and the website version of the store are both popular places for collectors of BJDs. Take a photo tour of the store HERE. 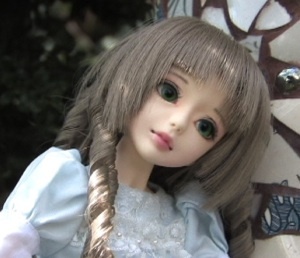 A new Asian ball jointed doll company, Cutie Angel, has just introduced their dolls to collectors outside of Korea. Boutique Doll has presented a new line of outfits to fit ElfDoll‘s Lovely Doll Line of 1/4 sized dolls. The designs are by Cello and ElfDoll USA. Boutique Doll is Elfdoll USA’s main joint working place. The fashions will also be carried by The Doll Peddler, Denver Doll Emporium, and Lone Star Dolls. 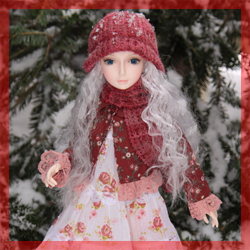 Denver Doll Emporium has announced a Dollzone exclusive limited for their shop. Isabel is 58 cm. tall and comes in normal pink, normal yellow and white skin. 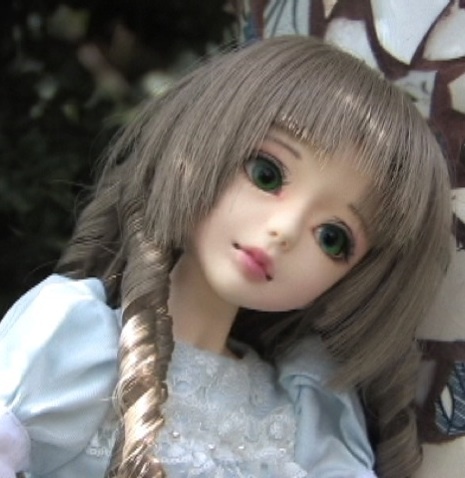 She comes complete with special faceup, special eyes, wig, clothing, shoes, shawl, and jewelry. To find out more, go HERE on the Denver Doll website. Denver Doll Emporium is now offering the Angell Studios Christmas promotion. Dolls from the company purchased on the Denver Dolls site will be eligible for the Ash event head.